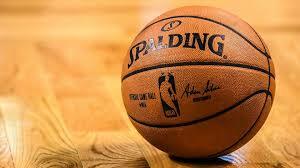 Sports Blogging Network: The End Of An Era Boston's Big Three! It looks like the writing is on the wall for The Big Three this will probably be the last season they are together. 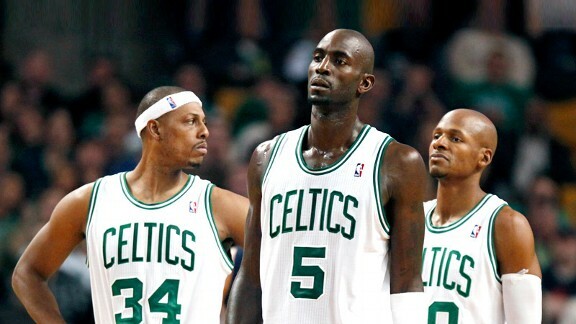 Kevin Garnett, Ray Allen and Paul Pierce have all seen their best years behind them. Breaking them up is something the Celtics will need to do soon. All three players are still good, but right now the Celtics are just too old to compete. When they play teams that are younger the big three struggle to keep up with them. Boston needs to get younger and still keep the Big Three, but that is just not possible. The way the salary cap is these days Boston will need to let go of someone. Allen or Garnett are most likely the ones that will be going. I look for this to be Ray Allen's last year in the NBA, and Garnett could be traded. Now that the Celtics are on the downswing it should be much easier to trade these players out of Boston without much bitching from the fans.